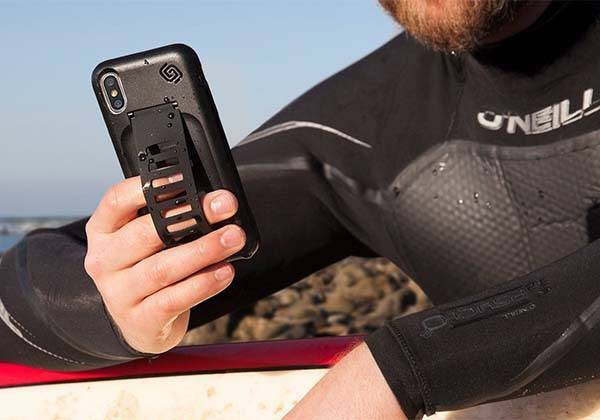 Using an integrated grip, Grip2ü Boost iPhone X case not only protects your precious phone, but also provides enhanced grip. Cool? Let’s have a look. The Boost is a strong and versatile snap-on protective case designed for iPhone X. As shown in the images, the iPhone X case sports a low-profile and smooth appearance design, and three optional colors allow it to fit for more personal styles. Meanwhile, the slim form factor lets you comfortably hold it in your hand. More importantly, similar with Grip2ü Boss iPhone 7/7 Plus case, the iPhone case also features a custom hand strip on the back in order to provide an enhanced grip. 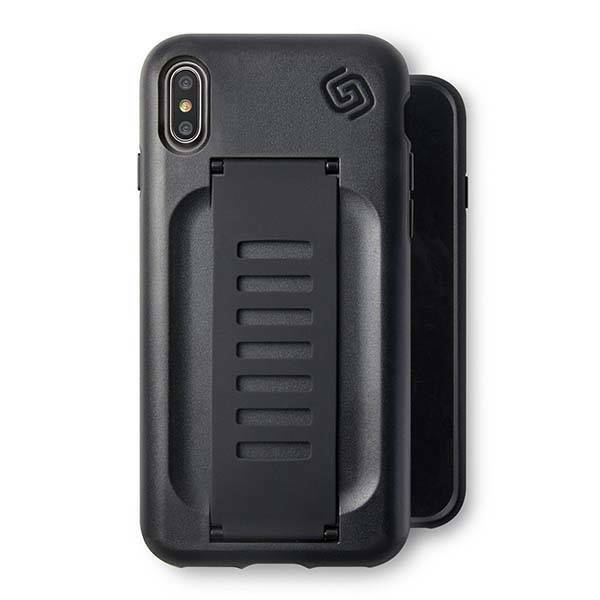 The grip iPhone X case is made using a unique dual-shot molding process that deliver a combination of soft inner layer and a rugged polycarbonate outer layer, so it’s strong enough to protect your handset from shocks and scratches. Moreover, all iPhone button and Lightning port are accessible via custom cutouts, but I have no idea whether it supports wireless charging same as the slim iPhone X case. The Boost grip iPhone X case is priced at $36.4 USD. If you’re interested, jump to Amazon (rosewood, clear) for its more details.